The amount of air that can be dissolved in water increases with pressure and decreases with temperature. When fresh water is heated up air bubbles start to form. The water can obviously not hold the dissolved air with increased temperature. At 100 oC (212 oF) water starts to boil - the bubbles are formed by evaporated water or steam. If the water is cooled down and then again reheated, bubbles will not appear until the water starts to boil. The water is deaerated. 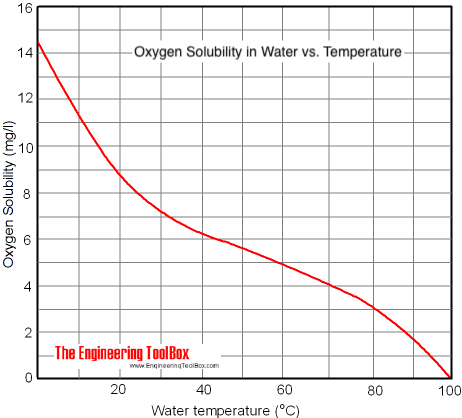 The solubility of oxygen in water is higher than the solubility of nitrogen. Air dissolved in water contains approximately 35.6% oxygen compared to 21% in air. The amount of air dissolved in water can be calculated with Henry's law. For maximum deaeration the water should be heated up to 212 oF (100 oC) at atmospheric pressure. This is common in steam systems where fresh water is supplied to the system through a heated deaeration tower on the top of the condensate receiver tank. It is also common to install deaeration devices on the hot sides of heat exchangers in heating distribution systems to force the dissolved air out of the system. Note! Since the maximum deaeration is limited by the minimum static pressure and maximum temperature in the system - the best deaeration result is achieved in positions at the hottest and highest levels of the systems - and/or at the suction side of pumps. Engineering ToolBox, (2004). 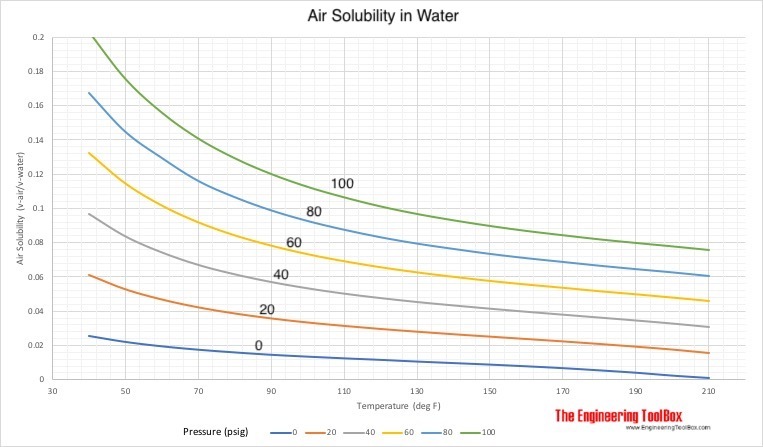 Air Solubility in Water. 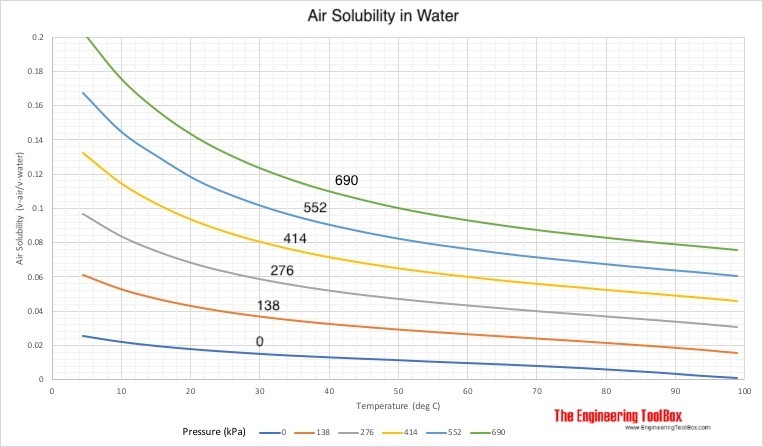 [online] Available at: https://www.engineeringtoolbox.com/air-solubility-water-d_639.html [Accessed Day Mo. Year].